No, I’m not — repeat, not — accusing the NRA of being anti-Semitic. Only noting that the group’s recent tweet-targets are people whom unabashed anti-Semites have relentlessly and gleefully attacked as Jews. Which conclusion leads to a thought that needs to be a prominent part of our thinking these days. Namely, that when an “us vs. them” mentality becomes dominant in a society — and such an attitude, disturbingly, has come to affect more than just the fringes — it does not bode well for the progeny of Yaakov Avinu. 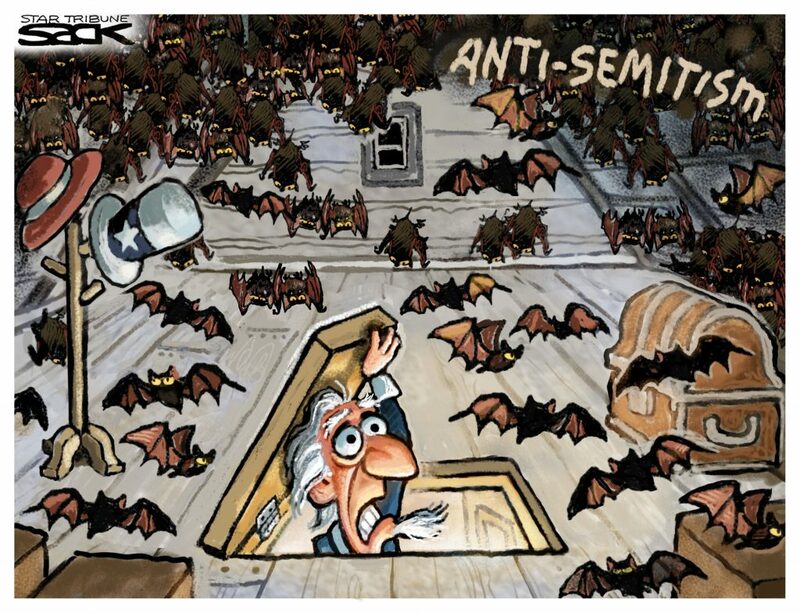 That’s how Jews can be hated because they are communists or capitalists, elitists or defenders of the common man, allies of blacks or racists; how they can be vilified for being “Zionists” or globalists, why both Mr. Soros and Mr. Adelson can be portrayed as Der Ewige Jude, the reviled “Eternal Jew,” of our time. What matters in the end — the only thing that matters — is that they are… Jews. These words are being written before the mid-term elections; you’re reading it after them. During their campaigns, some candidates sought to garner votes by appealing to the very worst in voters, seeking to capitalize on the rift in society and to stoke anger, aimed in whatever direction.